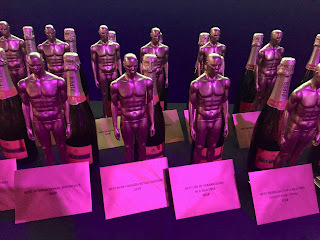 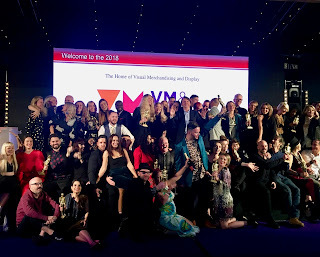 If you missed the VM and Display Awards last night then you really did miss a treat. 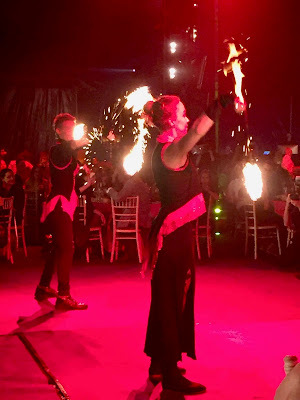 Hosted at the Bloomsbury Big Top by the brilliant Hal Cruttenden complete with acrobats, it was such pleasure to see so many incredibly talented people in one room again. 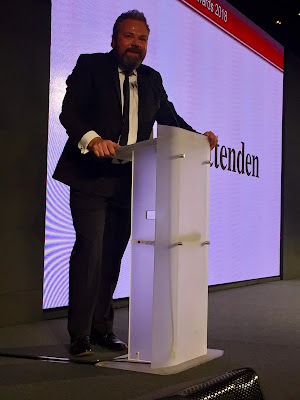 Poor Hal did have his work cut out taming the crowd but we guess as it was also an opportunity to catch up with old friends as well as celebrate and recognise the UK's finest it was always going to be a difficult job to do and we take our our hats to you for keeping us all entertained. 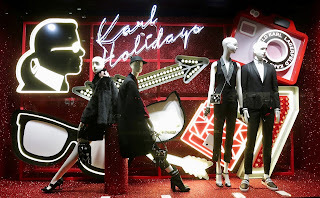 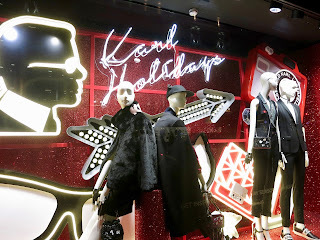 Celebrating the season, this brand with their neon signage, 'Karl Holidays' and of course a profile of the man himself......just in case you forget what he looks like.... plus an illuminated arrow and naturally great product this scheme shines very brightly across Regent street here in the centre of it all particularly at night-time. 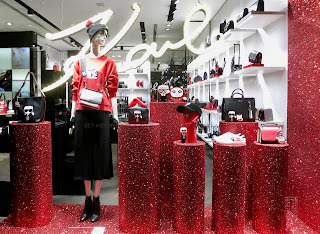 Completing the scheme is a Red glittery backdrop, flooring and plinths.